When you travel for business, it’s a little different than traveling for personal pleasure. There is a lot of crossovers, but some items are essential for business, that might not be what you need for fun. For a personal vacation, you might not even be taking a laptop. Ok, as we live on our laptops so we can’t even take that seriously, but some people might not travel with one. We would be envious if we didn’t go through a few days of withdrawals of not having instant access to the world for a few days. As the world gets more and more technical, you can almost take your office with you in a small case, with everything from a presentation projector to a copy machine, we have tried to limit it to just things you must have, though we might through a few on here we just think are cool. This is one of the main staples of any business travel. There are a lot of choices here. You can bring a small lightweight one or a shoulder breaking behemoth. It all depends on what you do as you travel. We have traveled with both, and we lean towards the smaller lighter laptops, but ones with good storage and power. If you are only doing writing and emails, and maybe a few PowerPoints, a small lightweight laptop is probably all you need. Make sure you install tracking software on it, so that if by chance its stolen, you can track where it is and recover it with the police fairly rapidly. If you are traveling internationally, one of the best things to do is set a remote desktop though VPN up to your work machine at the office. Then if anything is stolen, or customs decides to look through your private papers, there is nothing of interest on there, as nothing ever leaves your office machine. This has become the core of any business traveler. Replacing laptops in some situations. A good smartphone these days has more power than some of the older laptops. The usability is different, but if you aren’t doing photoshop when you travel, a phone can handles most anything else. There are tons of travel apps that do everything from rate seats in various aircraft to one that will tell you where the best place to take a quiet nap in an airport is. Get a phone with enough storage, more than you think you will need, and load up on useful travel apps. They will make life a lot easier. As with the laptop, we suggest putting tracking software on your phone as well. This is essential; it is a portable WiFi that generally works off the phone networks. We know that your phone can access the internet and act as a WiFi hot-spot, but you need a backup. If you drop or break your phone and there is no local WiFi that you can log in to, you are suddenly cut off from the world. With a pocket WiFi you can connect with your laptop and handle most problems. You can even use Google voice to make backup phone calls. As above, as a backup, google voice is amazing. It is a full phone system that lets you phone and text from anywhere in the world (though into the USA mostly) as a backup to your phone, this is essential, and best yet, it’s free. If you have traveled at all, you know you need power bank or the chance of running out of juice for your cell phone or laptop at the worst possible moment. You have to check with the airlines to make sure you know what the maximum battery you can take is, but these are most important to have. Ok, this is a little old school, but sometimes there is nothing better than a notepad to take notes and brainstorm. Bring a notepad with you. If you want to look stylish and are only traveling with a carryon, try and keep it all in a leather shoulder bag. You can do a backpack or rolling carryon, but a shoulder bag, while not as comfortable, can be taken from a plane to a meeting and nobody will think you brought your luggage. You have learned to travel light by now anyway we hope. Buy clothes that are meant for travel. Linen is lovely, but it does not travel in any way shape or form. There are companies that make various travel clothes that will cover you, everything from full suits that are easy to wash and remain wrinkle-free. General rule is one backup set of business clothes and one pair of shorts and t-shirt for the room. When you travel you are smashing everything into a bag, regardless of how you roll it, sometimes you need to get rid of wrinkles fast. You can hang it in a steamy shower or use a wrinkle releaser product. A link brush is a godsend sometimes, all you have to do is sit in a chair where a white dog was sitting before and that neat suit looks like you were rolling around on the ground. Bring a lint brush to keep sharp. These are definitely essentials in our travel kit. Especially if you ever do trade shows. Before we learned of earplugs I don’t think there was ever a show we went to that we didn’t get a headache with the noise at one point. Everyone is trying to get your attention and it can break you down. Earplugs and aspirin are life saves. 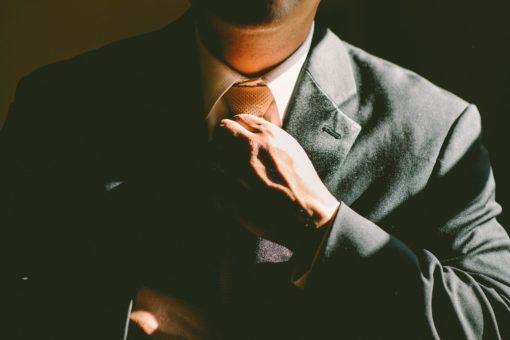 We hope that these tips help you along your way to that successful business deal. Most of them are common sense, and after you suffer a few disasters, you will learn the truth to most of them. You might even have a few disasters that you have learned your lesson from and added to your kit, we would love to hear of your thoughts there too. If there are any essentials that you think are must-haves, let us know. Until then, travel on.